Preparing the tax return that maximizes your refund takes research, an understanding of IRS operations, and an understanding of the taxpayer’s risk tolerance. 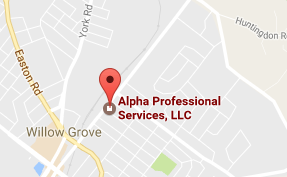 At Alpha Professional Services LLC, Certified Public Accountants, we minimize your Federal, state, and local tax bills; and provide you with peace of mind in your financial life. Having a road map for retirement includes a plan. Our CPAs are available to help build a strategy so you can enjoy a preferable lifestyle once you retire or cease having a traditional earned income.